Peshavaria Exports Pvt. Ltd. is manufacturing different types of Brass & Steel Electrical Wiring Accessories, Electrical Conduit Pipe Fittings and Brass Cable Glands. All the Glands are manufactured and tested to the requirement of BS 6121 - 1:2005 and EN 50262:1999. Today, PEPL is a leading name as a Brass Cable Glands manufacturer. PEPL Cable Glands are manufactured as standard in Brass extrusion (BS 2874 CZ121 Pb3), Aluminium extrusion (BS 1476 or EN 755) and Mild Steel & Stainless Steel 316 (BS 970). 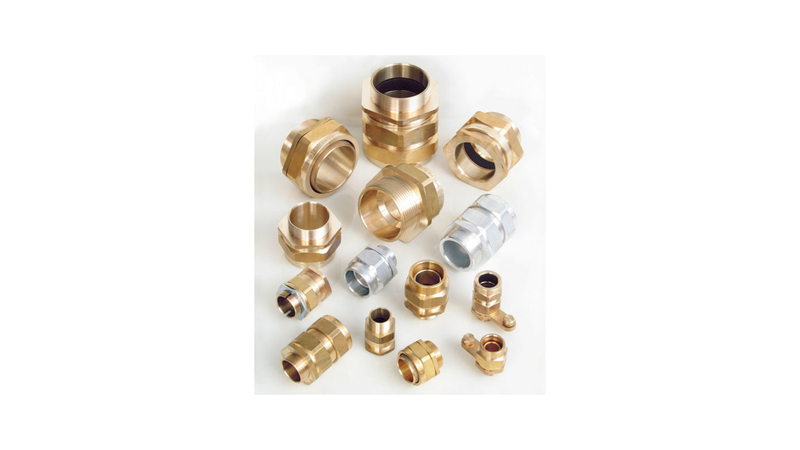 Alternatively materials include Brass Casting (BS 2874) and free from blow holes, spots, porocity or any casting defects. - It is applicable for Indoor or Outdoor use with all types of armoured and unarmoured cable. - It provides cable inner as well as outer sheath sealing. - It also provides mechanical cable retention and electrical continuity.